Come and enjoy Whale Watching aboard Advantage Cruiser (est. 1991 in St Lucia, KZN), and get as close as 50 meters from these gentle ocean giants, the humpback whales. St Lucia Tours and Charters acquired our legal Boat Based Whale Watching Permit (a much sought after permit) and have been operating ever since. We operate within the “Greater St Lucia Wetland Park” (renamed in Nov 2007 to the “iSimangaliso Wetland Park”) which is located on the southern-most tip of the Elephant Coast, KwaZulu Natal, South Africa. Although we mostly prefer to launch in the early mornings, we DO some days have a WHOLE day of awesome weather and calm seas. This means we CAN continue doing the whale watching tours if the demand is there for trips and/or it is peak season. So please don’t think there are ONLY whale watching tours in the morning – the whales have nowhere to go. The whales are on this migratory route for 6 months, and if we do book you on a later trip, you WILL see whales. It is a St Lucian misconception that you only see whales IN the morning; they are here the WHOLE day. 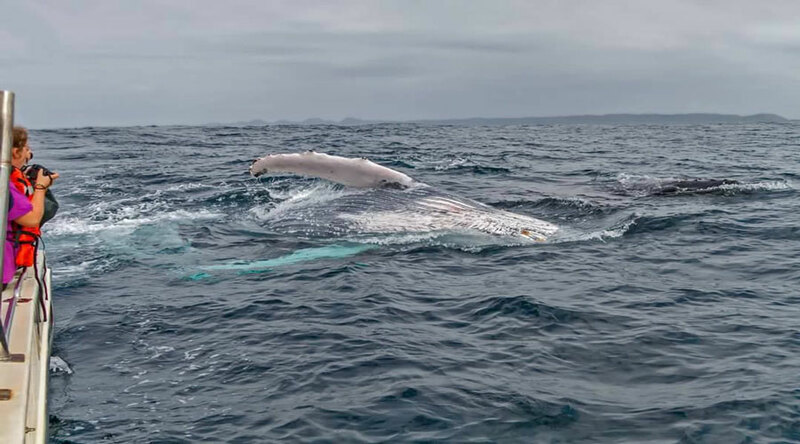 Obviously some trips are better than others, you sometimes have breaches and splashes, sometimes just pairs of whales swimming alongside the vessel…it is not a circus, we can’t make them jump . For your time at sea we PROMISE you a whale in season, a wonderful high energy boat ride and loads of educational information about the whales and dolphins from your qualified captain. 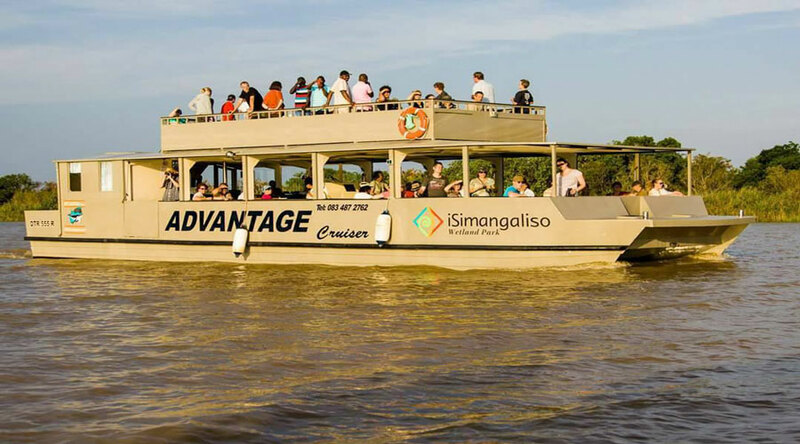 Advantage Cruiser was successful in acquiring the Boat Based Whale and Dolphin Watching permit for the St Lucia section of the Greater St Lucia Wetlands Park in 1998. Our experience since then has left us with a few pointers we would like to impart with you. It is a rough ride out to sea and you are guaranteed to get wet, please DRESS ACCORDINGLY. Please no YOUNG KIDS or people with serious NECK or BACK INJURIES. Please no PREGNANT ladies or FRAIL ELDERLY people. 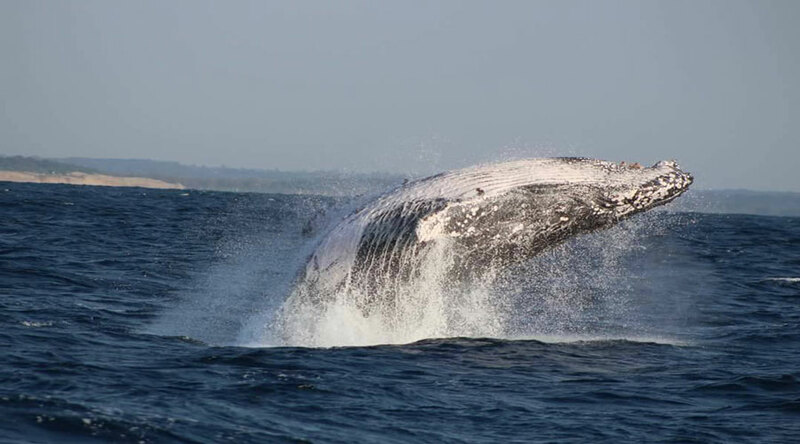 We DO now also book for Richards Bay Whale and Dolphin Watching Tours. Richards Bay is a much smoother harbor launch, but this city is 82km’s from St Lucia Town. Here we CAN assist pregnant ladies, frail elderly people and toddlers due to not having to deal with the hectic surf launch.